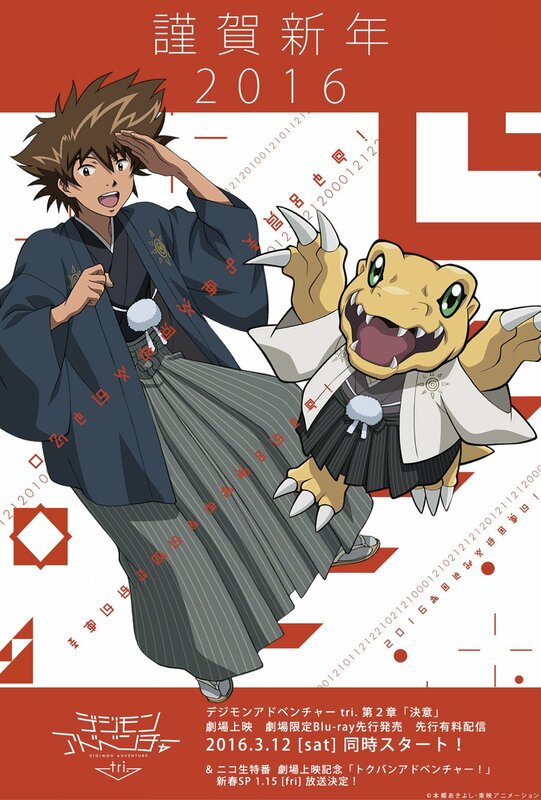 The official Digimon Adventure 15th Anniversary account tweeted today that a second special broadcast Tokuban Adventure! will be airing through NicoNico Douga's live streaming service on January 15th, with more information on the upcoming second film in the Digimon Adventure tri. series, Decision. The hosts for the livestream are still to be determined. The broadcast is region locked, and can only be viewed by users in Japan or those putting their IP address through a Japanese virtual private network. The doors will open at 8:50 PM Japanese Standard Time, and the broadcast will begin at 9:00 PM. The previous stream drew over fifty thousand viewers during its run, and revealed the Maicoomon DLC for the upcoming Digimon World -next 0rder-. I really appreciate for this great information..